From the very first step inside Denver’s First Bank Center, it was obvious RL Grime is an artist that people are excited about. From furry boots to angel wings and glow-in-the-dark accessories, the audience was dressed for a night full of mesmeric music and dancing. The arena-style venue began to fill up quickly through openers, (Kittens, Graves, and Jai Wolf), who all gave stunning performances. People were talking and dancing the entire night, as though none of them had any problems or responsibilities for that short period of time. 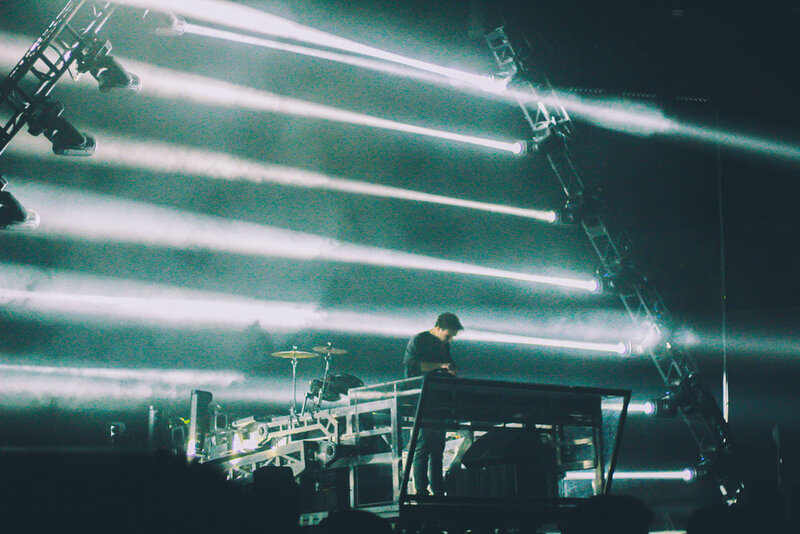 Music has such a strong hold on its listeners; and the energetic, fast-paced, bass-filled songs produced by RL Grime only amplified that effect. As it reached the end of night, the audience was opposite from dying down. Through all of his most popular songs, people sang along like there was no one listening, or more so like no one could hear them. The energy never stopped; and even as people filtered out after the show was over, there was a rare happiness and laughter that you don’t see at every concert. It’s was an experience that everyone should go through at some point in their lives. RL Grime put on an amazing show, and as he continues to grow, he will continue to build an even bigger fan base. Nothing is stopping him now, and the different sound that he creates in his songs sets him apart from other electronic music artists. I can only hope that he goes on tour soon, and would highly recommend the talented artist to anyone, to witness the incredible performance I know he will continue to bring.